Following on from Doom, I went through Heretic, Hexen, Quake, Quake II and Heretic II. Of all of them, Heretic was lots of fun, simply because of the theme - it felt far more ‘real’ than Doom did. But times were moving, and Quake was all that anyone cared about. I still remember loading up Worldcraft one day and try to make a map. I failed completely. Back to Heretic I went. Of course, that didn’t stop me making the move to Quake eventually. Having failed with Worldcraft, I tried another editor that had got a lot of attention - Qoole. This is the editor and community that taught me how to map - it had a fantastic interface and all the tutorials on the Qoole site were really good. It was simply intuitive and I learnt most of the basics in there, spending most of my time in the #qoole IRC channel, begging for help and (eventually) being able to help others. Of course, I wasn’t actually making anything good, merely playing with the tools and creating stuff for my own amusement. This was about 1998. Alas, Qoole was shareware, and limited to 300 brushes. It was no good for my Quake Rally mapping exploits, so I forced myself to the next best editor, Worldcraft, which everyone was now raving about. Within a week I had cracked it, and the basic Qoole skills just transferred across. 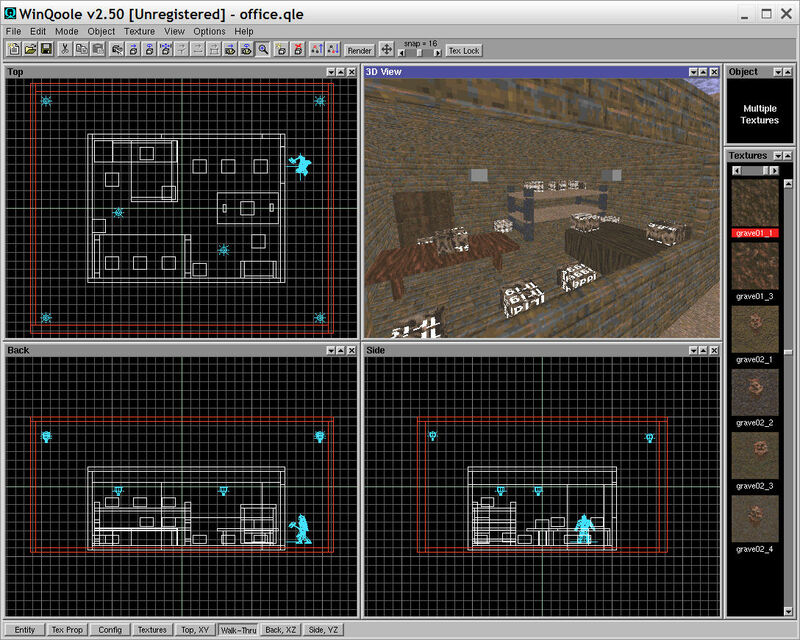 From then on in, all I really did was make small Quake maps, trying to copy some of the best single-player maps that I had played. This was combined with a little QuakeC programming on the side. Quake was probably one of the biggest influences for me. In particular, Iikka Kernen’s maps taught me more than any other - this map, this map, this map, and this map I still find amazing (seriously, just look at them). There were others too, but I just cannot find them anymore. My attempts to copy them and improve them taught me a lot about design - in particular how much fun it is just to create a theme out of nowhere. I owe all the authors a pint. Then Quake 2 came along, and everyone started raving about that. Having hated Q2Test, I continued editing for Quake, but soon no one cared about it anymore. I eventually caved in and bought Quake 2, played it a bit more, and loved it. Absolutely loved it. 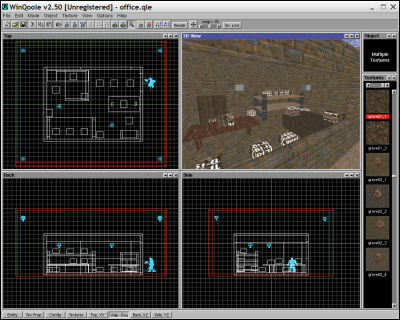 I couldn’t wait for Worldcraft 1.6 to come out with the fabled Quake 2 support… which would lead me to my second ever released map, in 1999.